According to many commentators, the Australian property boom is set to slow in 2018. And although a Sydney property market crash doesn’t seem likely, and property values are still high – the median price at the end of 2017 was over $900,000 – it’s been suggested by economists and real estate experts that, in a worst-case scenario, prices could be cooling up to 10% in the next year to 18 months. CoreLogic statistics have shown that in the last quarter of 2017, Sydney and Darwin were the only two capital cities to post decreased property prices, with prices falling by 2.1% and 2.9% respectively. With the general Australian property market trending down, there is a definite possibility that Sydney prices will at least cool – if not decline – within the next few years. People who are considering selling up may be looking to do so as soon as possible to catch the tail end of the property boom. 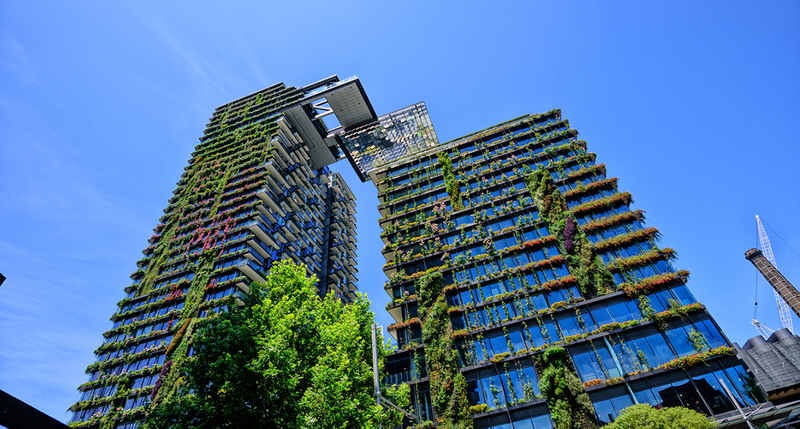 Central Park, Sydney: A Sydney property market crash doesn't seem likely, but unit owners might still be in a better position than home owners. In a predicted trend that may surprise people planning to sell in the Sydney real estate market this year, unit owners might be in a better position than homeowners. Despite the boom in Sydney apartment buildings in recent years, CoreLogic reports that Sydney units posted annual growth of 5.4%, compared with houses at 2.1% growth, and some property forecasters have predicted that despite the large supply of apartments they might be considered more valuable than houses in the current market. On the other hand, however, the QBE Australian Housing Outlook for 2017-2020 has predicted that Sydney house prices will decline by just 0.2% between 2017 and 2020, whereas it expects unit prices to decline by 3.8%. Earlier in 2017, Citi also predicted a drop in unit prices due to a glut of apartments in the market. Sydney’s greater west – one of the fastest growing populations of Australia and the country’s third-largest economy – is a huge growth area, with suburbs adjacent to the new Badgerys Creek airport development (including a new suburb announced by the State government) particularly in the spotlight. Other growth areas tipped for increased property prices include Liverpool, Kellyville, Camden, Mt Druitt, Blacktown, and Edmondson Park. This is great news for those selling in these areas, as they are likely to see a substantial increase in the value of their property – depending on how long ago they purchased. The market is still in a strong position for those looking to sell their home, but given a shaky Sydney property market forecast, many will likely look to sell sooner rather than later. If you’re planning to sell your Sydney real estate in 2018, get in touch with Upside to save on real estate commission fees and sell with confidence.